Now that my brief is building leaders, I figured that I should read a few new books in the area. 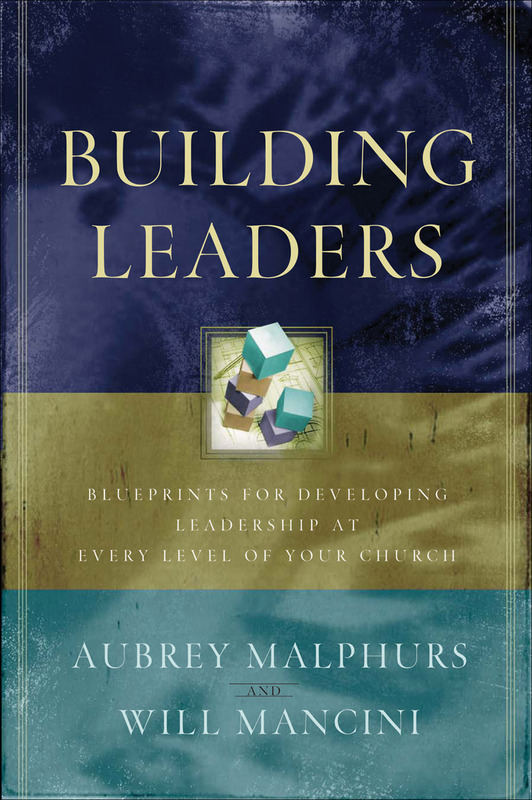 Building Leaders, by Malphurs and Mancini, seemed on topic and came highly recommended. I must confess that I wasn’t looking forward to reading this book. I worry when people have written lots of books on the same topic that they’ll be stretching out material for the sake of more royalties. But I hadn’t actually read any of their books on leadership, so I shouldn’t have been too quick to judge. It took a while, but it was a helpful read. Much in the book was familiar, but it helped to have things organised and spelled out with detail and clarity. I’ve already begun putting into practice a number of its lessons. The authors have identified a lack of churches committed to training leaders. Most would claim to be, but closer analysis shows that it isn’t really happening. It’s not that ministry isn’t happening, but that these ministries aren’t developing leaders who will continue and grow the ministry. People aren’t taking the time to train others to lead. Sometimes we don’t feel the effects of this until people move on and there’s no one to replace them or until the ministry becomes too big for the current leader to lead. When we compare the attitude of the military who make this an ongoing priority, or when we look at the model of a teaching hospital, we can see how much churches can take leadership development for granted. Unless we plan to grow leaders we won’t. It’s important to recognise that this is intentional. We have a responsibility to make it happen, not simply to hope that it is. Notice also the emphasis on character, together with knowledge and skill. Christian character is essential for Christian ministry leaders, for this is what God is seeking (and producing) in his followers. You can’t follow what you don’t see in the leader, so all these things matter. This contrasts with directing, abdicating and disabling. For leadership to develop it must be applied. You can’t simply learn to drive a car by reading a book or sitting in a classroom. People need to get into the driver’s seat and give it a go. Likewise leaders learn to lead by leading. Good tuition, support, ongoing guidance, feedback, and praise will all be helpful, but ultimately the emerging leader needs the opportunity to give it a go. Malphurs and Mancini seek to ground their understanding of Christian leadership in the Bible. I don’t think this is the strength of their work. They are careful to avoid teaching that the model of Jesus or the apostles gives us principles of leadership to follow, but they highlight the practices they see for us to learn from. This boils down to a model of recruitment – selection – training – deployment. These chapters feel a bit like things are read into rather than out of the text, but they offer wise processes to follow nonetheless. The book is divided into 4 parts and it’s the 3rd part, The Process for Developing Leaders, that takes us to the nuts and bolts for making it happen. The strength of these chapters are how things are broken down into identifiable strategies. I realised that we have implemented many of these ideas and suggestions, without always thinking through why or how things fit together. It’s been particularly helpful reading this book in close proximity to The Trellis and the Vine. There’s much overlap between the two, with this book being a lot more prescriptive, descriptive and highly structured. One interesting point of comparison relates to what to we are seeking to develop in a Christian leader. The Trellis and the Vine highlights conviction, character, and competency, whereas Building Leaders identifies character, knowledge, skills and emotions. Or, to put it another way: being, knowing, doing and feeling. The extra emphasis on emotional intelligence is helpful, because it’s a good indicator of someone’s capacity for healthy relationships in an intensely people focused area (ie. ministry leadership). This breakdown is very helpful in helping us to think about how we train and why. Some methods of training overlap or integrate the different approaches, and they each have different strengths and weakness. The up-coming leaders effectively take responsibility for their own training. It focuses on what they can do on their own. Listening to talks, watching DVDs, interviewing other leaders, attending classes or seminars are among the possibilities on offer. This focuses on the transfer of knowledge. It often flows from a pre-determined curriculum and tends to be one-way communication where important content is delivered. This is often the ‘go to’ strategy because we want to make sure people have the right information before they are let loose. However, it is rarely sufficient to equip people to lead. The distinguishing feature of this training is the trainer. This approach combines relationship with information, and modelling with teaching. Such mentoring will normally involve a loop of instruction, modelling, observation and evaluation. The emphasis here is hands on – actually doing ministry. It’s on the job training. Experience prevents us becoming theoreticians, knowing lots about leading without actually being able to do it. Recognising these different approaches to training opens up new opportunities and contexts in which to train prospective Christian leaders. Building Leaders identifies 16 different ‘venues’ – what I’d prefer to call ‘contexts’ – for training leaders, and it demonstrates some of the strengths and weaknesses of each. For example, a classroom is good for content-driven training, but weak on showing how things actually happen. Apprenticing is ideal for relationally-based training, but it’s harder to stick to a syllabus. Some training will deliberately utilise a number of strategies and contexts together. For example, we are reshaping how we equip and support our growth group leaders and there are a number of aspects to the training. People will meet with a mentor at least once a term for a personal catch up and feedback. They will be part of a vision meeting with all the leaders once a term to prepare for the new program ahead. Leaders will be encouraged to find one or two core members of their group to apprentice as leaders for the coming year. These apprentices will be offered a small group leaders course later in the year which will impart important information on our expectations of leaders. By breaking down our thinking about training and what we are seeking to achieve, be can be far more effective in preparing our leaders. There are some excellent, if not overwhelming, ideas in these chapters on developing leaders. If you are a leader of leaders, then I’d recommend you spend some time in this book. You could use it help you audit what you are doing in training, how you’re doing it, and why. This book could help you to add to your armoury of training strategies, to be more focused, and to rekindle your excitement for training. The authors urge us to build evaluation into our leadership development strategy. For me, this is the place to begin, but once we make changes and try new things we’ll need to keep on evaluating. Most churches had good strategies and programs once. We just forgot to evaluate them and many of them stopped working. Time to lift our game again.